Polka Dot Overload | Sewing, knitting & vintage projects, tips, tutorials and cartoons! : Happy 30th to Me! 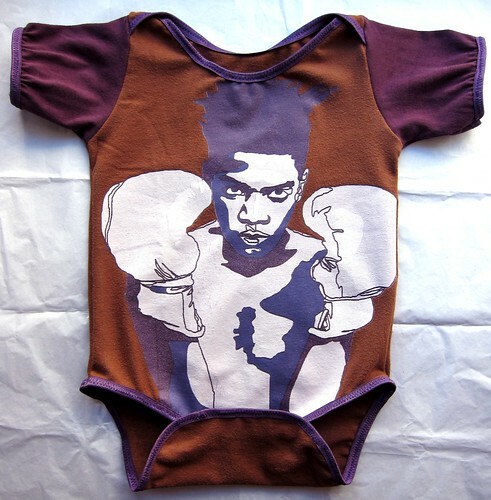 + The Boxing Basqiat Baby Onesie! Happy 30th to Me! 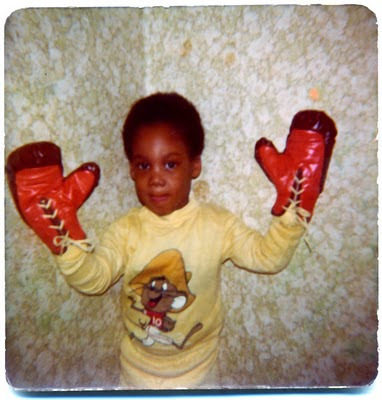 + The Boxing Basqiat Baby Onesie! 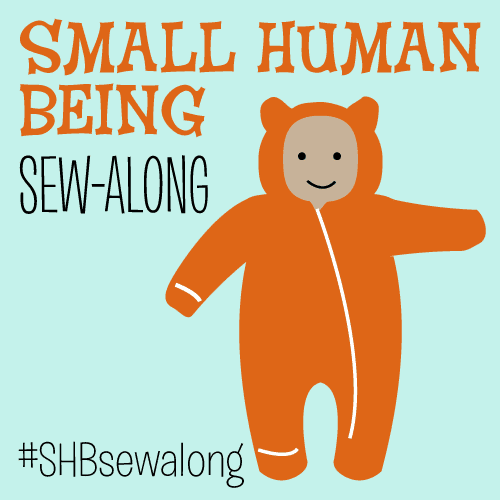 Or maybe we can, considering how strong her belly-shaking kicks are! According to all my pregnancy books, Cartoonist Baby is even DREAMING now. Which naturally leads to the question--what do babies dream about? Probably not patterns and fabric. ... which is just Kwik Sew 2433 sewn up from one of my husband's favorite (but now too-small) Brooklyn Industries T-shirts that I happened to spy in our massive Goodwill-bound donation pile. The edges are bound with satiny purple FOE (foldover elastic) for a SLIGHT girly touch. The subject. Masheka and I are both artistic and literary types, as you might have guessed. Cartoonist Baby's first name is shared with a famous black woman writer (not sure if I'll be revealing her name on this blog yet, you'll have to guess for now!) 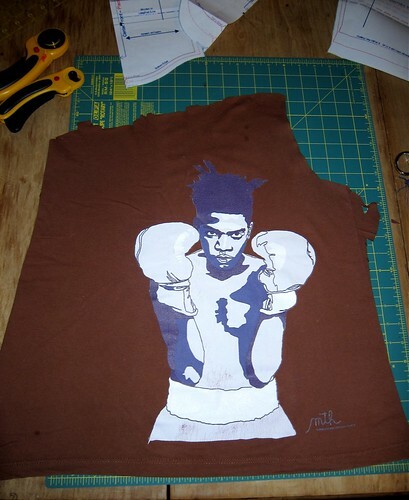 and I like that she also has one of our favorite artists, the late great Jean-Michel Basquiat, on her shirt, too! The colors. I love wearing pink myself, but why does everything for girls have to be doused in Pepto-Bismol and covered in bows and flowers? I felt like the purple foldover elastic binding I did added just a touch of girly without being overwhelming. This may be the rockin'-est onesie ever. I LOVE IT!! The awesomeness of this can never, ever be overstated. Oh wow! Very nicely done! this is so cute! we have a boy & i've been wanting to make onesies out of my husbands old t's since they mentioned it on the gilmore girls. yours is beautiful though. the color is great. i love pink as well, but it seems the majority of girls clothes are in some heinous shade of fuschia.